Redemptorist Kevin Bellot, a native of the island nation of Dominica and a member of the Redemptorist community at the Basilica of Our Lady of Perpetual Help (Mission Church) in Roxbury, will be among those ordained to the transitional diaconate October 8 at St. Ignatius Church in Chestnut Hill. Bellot will finish his studies at Boston College’s School of Theology and Ministry this fall, and will spend his time as a deacon serving in Redemptorist parishes and ministries in the English-speaking region of the Caribbean. Bellot, 28, the older brother to one sister, grew up in the Commonwealth of Dominica, West Indies. He attended Catholic schools, and first felt called to the religious life during high school. Volunteering in the infirmary of the Christian Brothers, Bellot was touched by the simple acts of genuine service to another. Bellot joined the Redemptorists in 2001 and has worked in St. Croix in the U.S. Virgin Islands, in inner-city Philadelphia and New York. He completed his degree in philosophy and psychology at St. John’s University in New York, and professed his first vows as a Redemptorist in 2007 and his final vows in 2010. 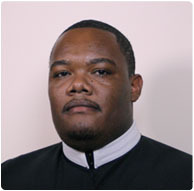 He is expected to be ordained to the priesthood in August 2012. Of his vocation journey, Bellot said the path looked a lot easier than it turned out to be. The Redemptorists serve in parishes and retreat houses, and preach parish missions throughout the English-speaking Caribbean. They maintain permanent missions in St. Croix, U.S. Virgin Islands, and the independent countries of Dominica, St. Lucia, and Trinidad and Tobago in the West Indies. Bellot is one of 11 Redemptorists studying at Boston College and in residence at Mission Church, including four seminarians from Vietnam and two from Haiti.